Our roofs protect everything inside of homes and buildings from day-to-day external elements such as the sun, rain, heat – especially harmful weather. Therefore, it is our responsibility to take good care of them. Every year that your residential or commercial roof stays in good condition presents an opportunity for you to save money. Wouldn’t it be great if that would always be the case? Unfortunately, most people fail to have even the simplest roof maintenance plan. Just because you don’t see any visible leaks from your roof doesn’t mean that nothing’s wrong with it. Remember that roofs gradually wear and tear. Homeowners and commercial building owners usually won’t notice problems unless extensive damage has occurred. 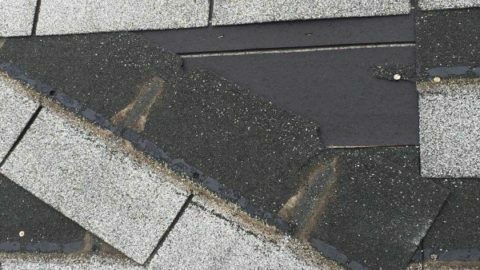 In this article, you’re going to learn the reasons why you should have a regular roof maintenance plan and 4 actionable ways to maintain your roof. Ready to prolong the life of your roof and reap its full benefits? If so, continue reading. Residential or commercial roofs that are regularly inspected and repaired for the slightest signs of damage last longer. True, each type of roofing material has its own average lifespan. For example, roofing shingles are expected to last 20 years while flat commercial roofs reach 40 to 50 years. Simple maintenance tasks such as keeping your gutters clean or hiring commercial roofing services help mitigate any developing issues. As a result, your roof stays problem-free and enjoys a longer life. The last thing that any establishment owner wants is for their business operations to be negatively affected because of broken roof. Most often than not, roofing problems and their consequences put your employees’ safety at risk. Leaks cause slip and electrocution accidents. They also damage your office furniture and equipment. Try to imagine your loved ones at home getting sick because of mold problems and pest infestation. These are consequences of prolonged moisture because of a leak that wasn’t resolved. If you think that preventive maintenance is time-consuming and daunting, remind yourself of the dangers of a neglected roof. Our roofs silently work to keep us safe and comfortable. Like our cars and equipment that we use everyday, roofs deserve to be regularly inspected. 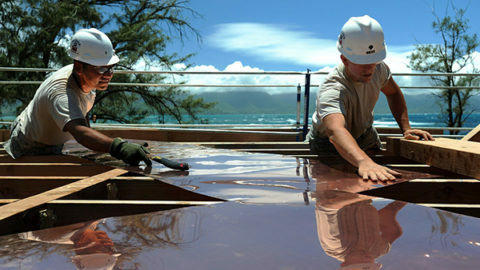 If you live in Halifax, there are roofing contractors Halifax that offer residential and commercial roofing services. 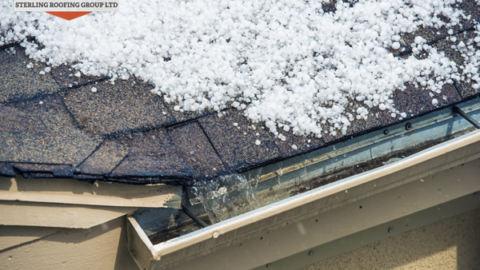 These professionals can identify the smallest indicators of roof damage. It is true that you cannot entirely avoid repairs simply because you cannot stop everything in your home or office from breaking. However, you can save yourself from spending thousands of dollars on a severely damaged roof and getting a total roof replacement. HomeAdvisor lists the costs of installing a new roofing system. Leave all complex roofing tasks such as roof cleaning to your roofing contractors Halifax. As a responsible homeowner or business owner, there are very simple steps you can take to maintain the good condition of your roof. One effective way to prevent water and moisture problems on your roof is to clean your gutters. Make sure that they are clog-free. Any material (nests of birds, fallen leaves, dirt, etc.) in your gutters prevents rain water from draining properly. This will damage your home or building’s structure and lead to moisture problems. Remove large debris from your gutters using a trowel. Use a garden hose to flush your gutters and check the flow of water. After noting these signs, call your trusted roofing contractors to visit your place and inspect your roof themselves. They will further explore the damage and decide on the best course of action with you. While trees are great for providing shade, branches that hang over your home put your roof at risk for damage. How does this happen? During windy days, the branches of your trees can scratch the surface of your shingles and remove some layers of asphalt. Storms can also cut off these branches which fall onto your roof. 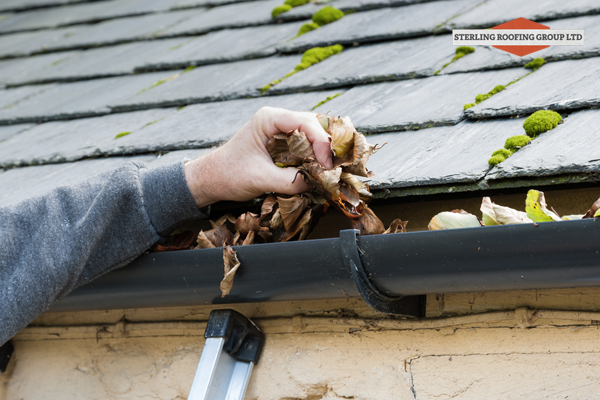 Falling leaves also get into your gutters and prevent the adequate flow of water away from your roof. If you have no experience in trimming your tree branches, contact a professional arborist to handle the job for you. Roofing experts recommend that property owners should trim all branches that are within 6 feet from their roofs. Before you hire a residential or commercial roofing services, check whether they are licensed and insured. Make sure that they have a physical office and that they can provide you client references. Sterling Roofing Group is a trusted provider of quality GAF roofing products. We perform different kinds of repairs and installations for residential and commercial roofs. Check out our customer testimonials. If you want to learn more or request for a free estimate, get in touch with us at (902) 817-ROOF (7663). 7 Things to Consider Before Hiring a RooferWhen Is the Best Time to Get a Roofing Repair or Replacement?